Maybe you’re traveling, low on time, super busy, or simply don’t want to venture out to the gym to work out. We’ve all been there. But, just because you’re missing your weekly HIIT class or skipping the gym entirely doesn’t mean that you can’t get your sweat on with bodyweight workouts in the comfort of your bedroom. Using only your bodyweight or items found in your bedroom, here are six exercises and an entire routine that you can do in your home without any gym equipment. Feel free to go on with your day or jump right back into bed (after a quick rinse off) and relax. You deserve it! Squats are a key component of bodyweight workouts. While it’s important to master proper squat form, the exercise is easy to do literally anywhere, and it requires zero equipment. Puhky suggests a standard bodyweight squat or a jump squat. “Jump squats are great because they build lower body stability and [work] the legs,” he says. Squats are also known to seriously work your glute muscles. And, if you have a chair in your room, Puhky says that you can use it for split squats or lunges. Apart from building ab muscles, we know that working your core helps improve your form for many exercises, including running. Plus, the beauty of many core moves is that you can easily do them at home. Puhky says that sit-ups are a go-to move for any at-home workout. If need be, you can tuck your feet under a dresser or bed frame for support. Just make sure that it’s sturdy first. Planks are a full-body exercise. Not only are you engaging your core muscles while holding the position, but you’re also working muscles in your arms and legs. The beauty of a plank is that you can time your hold, and always try to beat your goal. It’s important, however, to ensure that your form is correct so that you don’t injure your back or wrists. A desk chair or bed frame comes in handy for dips. Positioning yourself away from the furniture, extend your legs straight and lower your body down to the floor using the strength of your arms. Then, push yourself back up to starting position. This bodyweight exercise may look simple, but it’s a burner for the triceps. 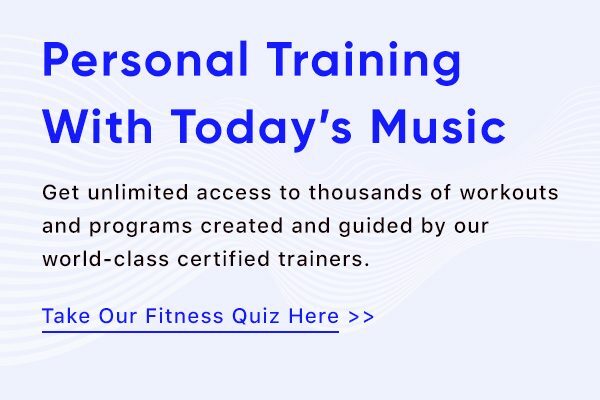 Here’s the circuit: 100 squats, 90 sit-ups, 80 lunges, 70 jumping jacks, a 60-second plank, 50 mountain climbers, 40 push-ups, 30 jumping squats, 20 V-ups or crunches, and 10 burpees at the end. Then, Puhky says, “you go back up the ladder” and do the circuit again in reverse order, starting with the burpees working your way up to the squats. It’s totally possible to get a full-body workout from the comfort of your bedroom. However, it’s important to make sure that you actually follow through and challenge yourself. It’s easy to fall into a workout rut. So make sure that you alternate at-home workouts with time at the gym or outdoor running. That way, you’ll keep your mind and body stimulated. 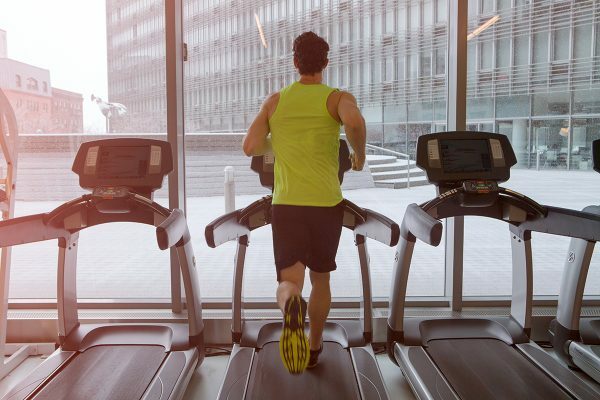 What does pace mean on a treadmill? We've got that covered. Learn how to minimize your risk of injury so that you can race toward your running goals, pain-free.